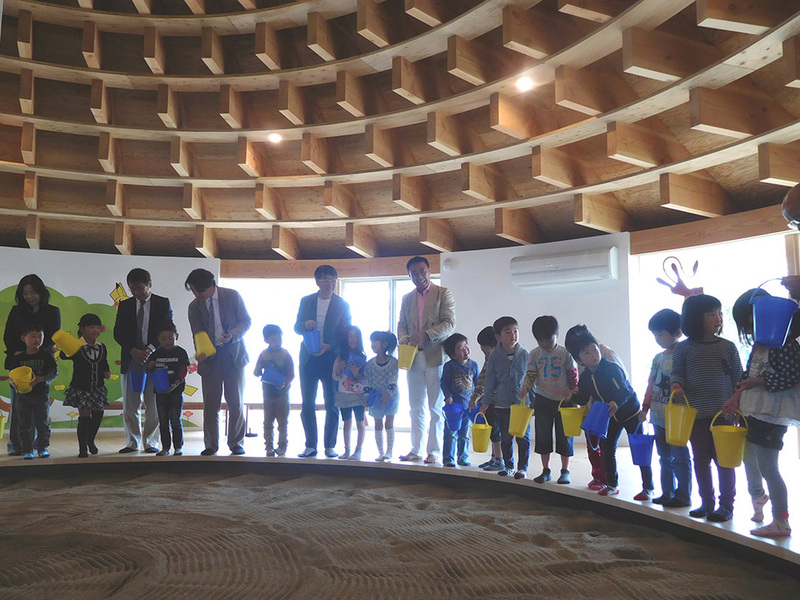 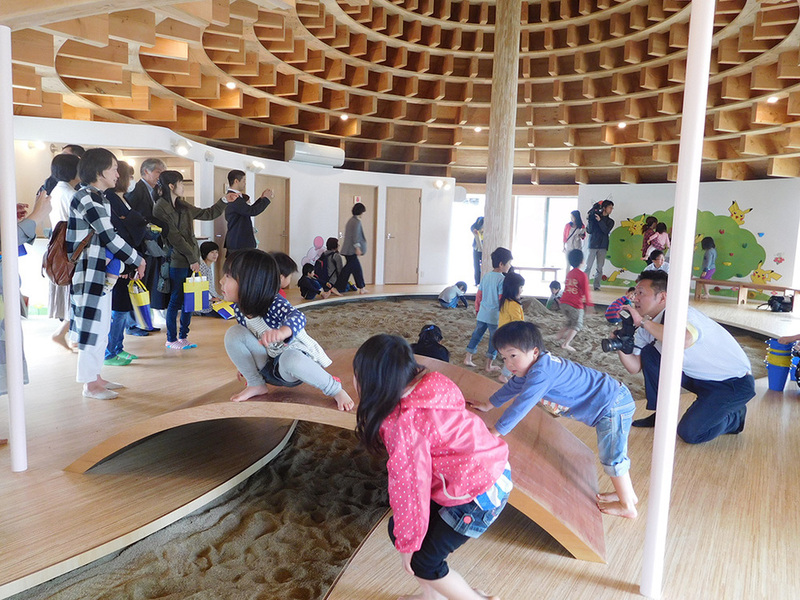 This HOME-FOR-ALL hut in Minamisouma is a playground for children in the shape of a circus hut. 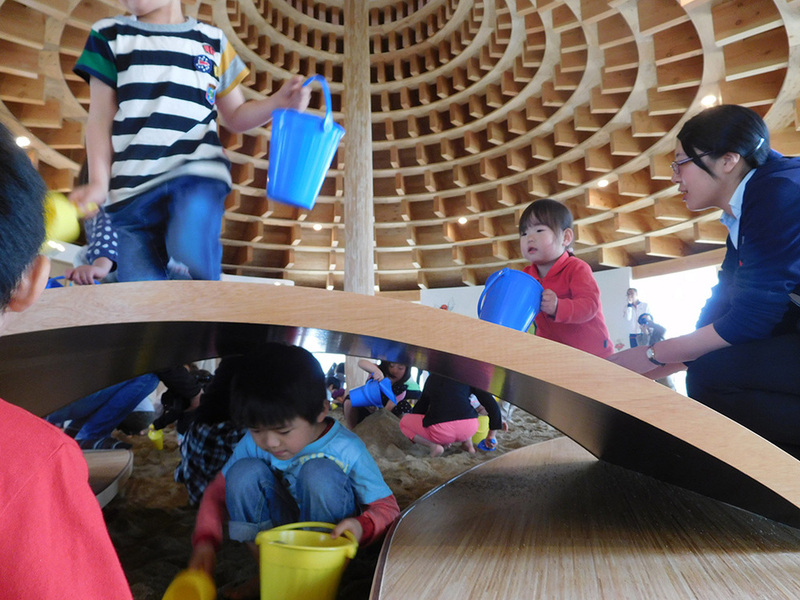 On entering the space the rhythmic wooden structure is powerful. 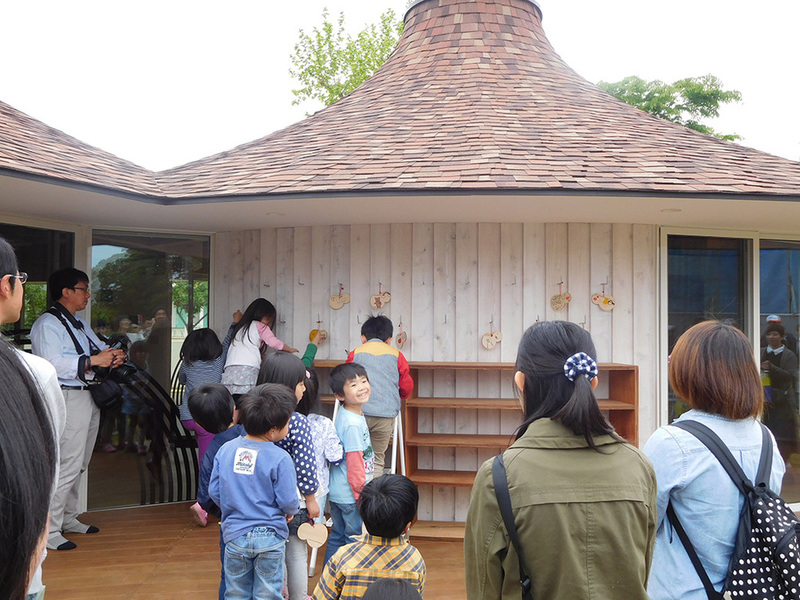 The wooden framework ascends towards the sky and suggests itself as a new symbol of strength, dynamism and calmness for Minamisouma.